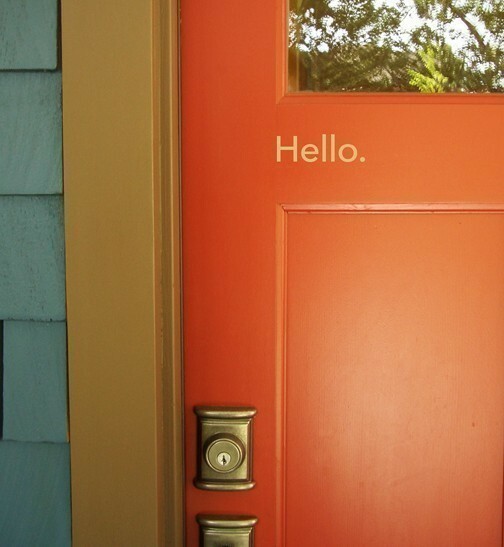 What a clever and fun way to greet your guests as they enter your home. I just might have to do this myself on my own orange front door. You can actually purchase the decals here on Etsy. Or you can get them locally from Stripeman Graphix. Check us out online at stripeman.com! Thats where im curenty working.